Please call (906) 644-2486 to make reservations. The hotel was built in 1909 for employees of the Bay de Noquet Lumber Company. Nahma was designed and built as a company town, complete with a grand boulevard with a grassy medium. The Inn is thought to be graced by the spirit of a lady who once resided and worked in the kitchen. The helpful spirit is known to organize things in the kitchen and rearrange objects when nobody is around! 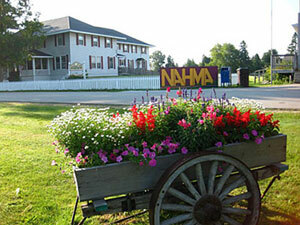 Nahma was established in 1881 by the Bay de Noquet Lumber Company of Oconto, Wisconsin. The Bay de Noquet Lumber Company headquartered in Nahma, its base of operation in Michigan’s Upper Peninsula. 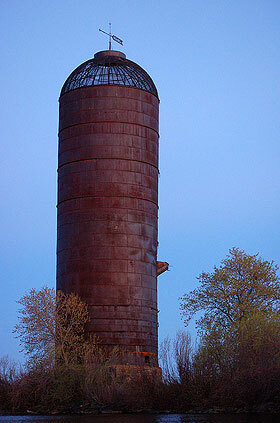 The company had a 70-year life span in Nahma from 1881 until it cut and processed its last log on July 26, 1951. The Bay de Noquet Lumber Company processed over 2,500,000,000 board feet of lumber in Nahma. Nahma is located near the mouth of the Sturgeon River on Big Bay de Noc. At the peak of the lumber industry, Nahma had a population of more than 800. The Bay de Noquet Lumber Company employed over 1,500 men at the mill and in the lumber camps. In 1951, the entire town was sold to an Indiana playground manufacturer who had big plans to turn the town into a resort. Life Magazine did a feature on the sale, titled, “Sold-One Town.” The playground manufacturer lacked capital to initiate their grand plan and today Nahma sits as a quaint, quiet community inhabited by commuters, retirees and summer residents. 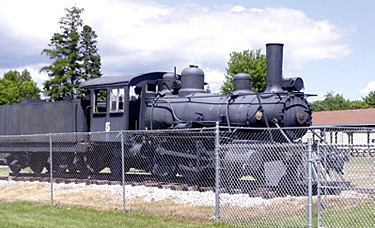 Nahma offers its visitors the opportunity to step back in time and get an idea of what a “Company town” was like in the early 1900s.